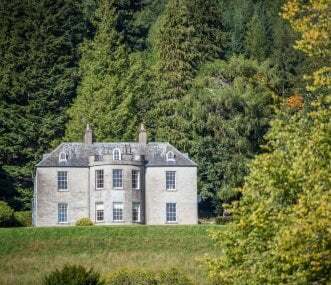 We have a wide variety of large property homes in the county of Perthshire in Central Scotland. Perthshire boasts some of Europe’s most spectacular woodlands - perfect for those looking at group walking holidays, or just a nice way to relax with family and friends. 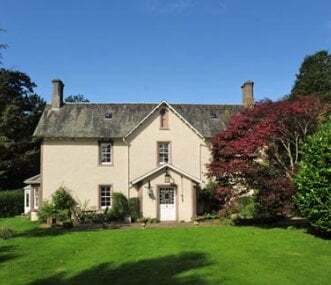 If you have a literary interest an autumn break will allow your group to enjoy ‘Bookmark’ The Blairgowrie, Rattray & the Glens Book Festival in October. 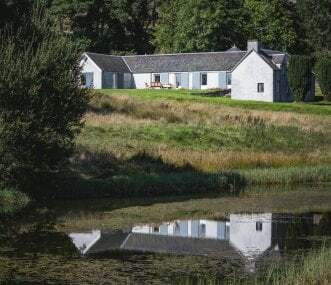 From a relaxing farmstead conversion to luxury holiday properties on a private estate, there really is something for everyone looking for a group holiday in Perthshire. The perfect country house with hot tub for family groups, friends, golfers and reunions. Sleeps up to 12. 6 bedrooms and 5 bathrooms. Approx 1.5 hour drive from Glasgow, Edinburgh or Inverness. 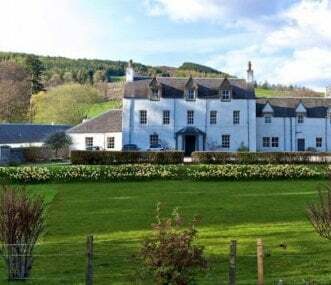 Surrounded by open countryside and woodland, with spectacular views of the lower Strathtay and a private tennis court, Convalloch Lodge is ideal for large groups exploring Highland Perthshire. Very spacious house set in beautiful countryside, yet only an hour from Edinburgh airport. Relax in the hot tub waiting for the red squirrels to appear, or curl up in front of the open fire! Fortified tower sleeping 12 within walking distance of the picturesque village of Doune, on the edge of the Highlands. The house is an Outlander location which hosted cast and crew for almost 5 years. 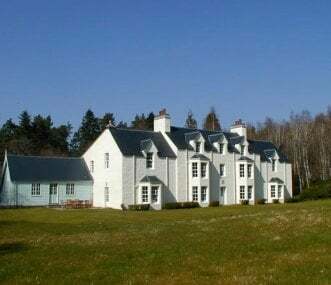 The Tay Bunkhouse situated on the banks of the river Tay in the heart of Perthshire. Perfect for friends, families, stag and hen groups. The property sleeps 12 in three rooms, with BBQ and fire pit. Cottages sleeping 12, Perthshire. Rural setting with great views, walking and cycling from the door. Wood burning hot tubs, wellness suite with wood burning sauna and gym. Games room and tennis court. Surrounded by stunning open countryside and hills, this large house enjoys spectacular views and is perfect for family or friend gatherings or special celebrations. Sleeps 13. 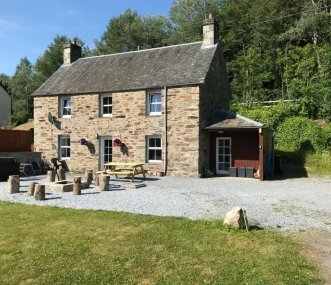 The Drumfork Estate, near Glenshee and Blairgowrie in Perthshire, offers accommodation for 2 to 14 guests in 2 properties, both dog friendly and with their own private hot tubs. Wonderfully secluded.